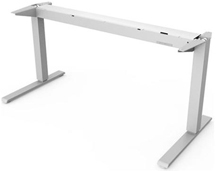 Humanscale height adjustable sit-stand tables and solutions are designed to suit the demands of healthier work environments using aesthetically simplistic designs where form flows from function. The Float design offer more height adjustability, a greater weight accommodation range, and more work surface options than any other counterbalance table. 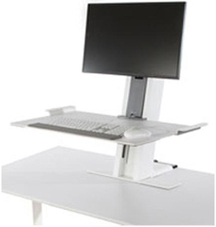 The QuickStand system is the ultimate sit stand solution for new and existing workstations, offering users the ability to be active and mobile. Both options offer quick and easy installation and adjustability while providing a clean look to suit the needs of dynamic work environments.